In 2012 I met a woman named Sobonfu Some that changed my life. The name Sobonfu means "keeper of the rituals" and she came to the US to do rituals and help repair our communities that have been broken by our success driven and lonely culture. She helped connect me with our human relation to the flow of nature and rid myself of grief I had been carrying for a long time. She started Wisdom Spring, Inc., a non-profit organization to bring wells to her hometown, Burkina Faso in West Africa. 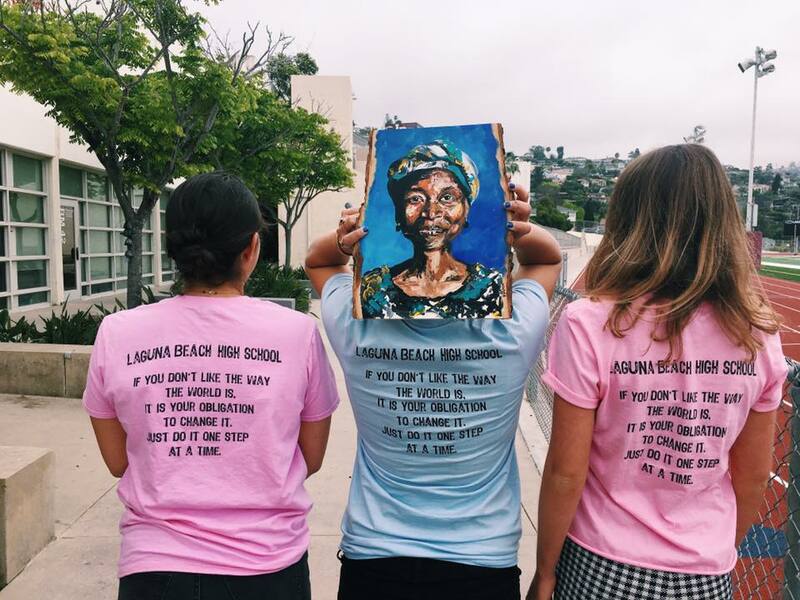 Under the guise of Susan Hough of Living Your Gifts and President of Wisdom Spring, Inc., I work with a group of teens at Laguna Beach High School called Walking for Water, and we raise funds for Wisdom Spring to bring clean water and education to Burkina Faso and beyond. My amazing artists and friends donate their works and services for auction and we bring awareness to this amazing mission. This year we got to Well #28, and each well provides clean water to 1,000 people in an indigenous community. It's amazing to see these teens be of service and give back in such a meaningful way. This past February Sobonfu passed away, and we are all honored to carry on this incredible non-profit in her honor. I am proud to recommend Clarissa Butler who is a leader and an avid seeker of knowledge. Her searches always take her to exciting new discoveries. Clarissa is a highly intelligent, creative and perceptive woman. She came to our institution committed to supporting our youth club in raising funds for education in Burkina Faso, and to raise money for wells in Africa. Clarissa was one of the main leaders for the youth that work on the projects of Wisdom Spring. From a personal standpoint and from the feedback received about her work, she is always overwhelmingly positive. Her devotion and passion for supporting the youth truly helped the teenagers think of creative ideas to make this project successful. Watching Clarissa and working with her on this project I watched use her talents and abilities not only in the classroom but outside its walls, while interacting with all types of people, as well. I respect and admire her for these unique gifts.